TraceParts today announced that its 3D library of suppliers and standard parts catalogs has successfully passed the challenging Autodesk Inventor 2011 certification. Through this technical and marketing achievement, TraceParts reinforces its longlasting partnership with Autodesk, having been a member of the worldwide Autodesk Developer Network (ADN) for more than 15 years. The TraceParts 3D component library is one of the largest parts libraries in the world, offering 100+ million 3D CAD models & 2D drawings, including both industry standard parts as well as products from hundreds of manufacturers' catalogs used by the tooling, machinery, aerospace and automotive industries. Autodesk Inventor mechanical design software takes engineers beyond 3D to Digital Prototyping by enabling them to design, visualize, and simulate products before they are ever built. Users can browse or search for products, configure product options, create dynamic 3D previews, and insert native Inventor 3D product models directly into their designs together with their Bill of Materials (BoM) attributes. "Engineers are far more dependent on manufactured content than ever before, and this certification demonstrates our commitment to meeting the needs of our global customers," said Jim Quanci, director of Autodesk Developer Network. "TraceParts provides easy and quick access to millions of nativeformat Autodesk Inventor models of the parts our customers use every day. 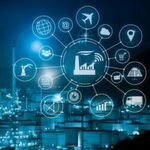 So now, the Inventor Community can concentrate on designing and innovating new products instead of wasting time and effort modeling parts they don't manufacture." "We are extremely pleased to be the first 3D Parts Library to reach the Autodesk Inventor 2011 Certification," said Gabriel Guigue, Managing Director of TraceParts. "Time to market is crucial to Autodesk Inventor customers, and we know that over 80% of CAD models that a mechanical designer adds to his parts list are later purchased. This is why we strongly believe this Inventor 2011 certification will bring fantastic additional marketing exposure to our many 3D catalogs." TraceParts is a leading digital engineering content company, offering customers progressive business solutions through powerful web based products and services. 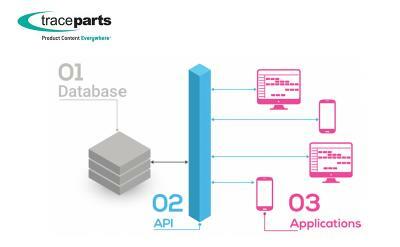 TraceParts helps customers improve marketing efficiencies by increasing the value of their existing digital product data. The www.tracepartsonline.net CAD portal is freely available to millions of CAD users worldwide. For more information about TraceParts, please visit www.traceparts.com.